I had the privilege last March of shooting a wedding in Puerta Vallarta. What an incredible adventure and blast of a time. I have a few shots of hte board walk here. The hotel was booked only for the wedding party & guests, was five days long, was private, right on the beach, had a pool and included all our meals and an open bar! I had such a refreshing time shooting the incredible pelicans, egrets, hawks, sunsets and fisherman. 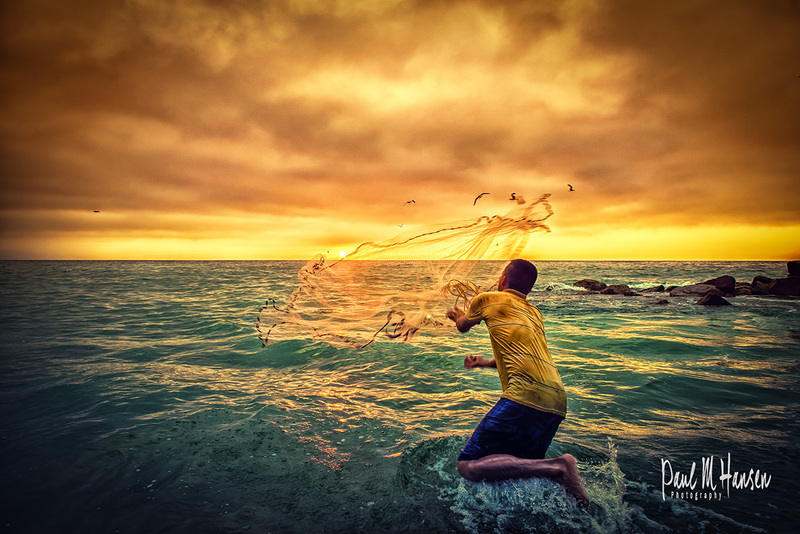 The image was so fun because as he was intensely concentrating on fishing I was intensely concentrated on shooting and was able to move in and out and all around him and he was just as absorbed in his fishing. This is the angle I thought was a keeper – the one that didn’t get away.